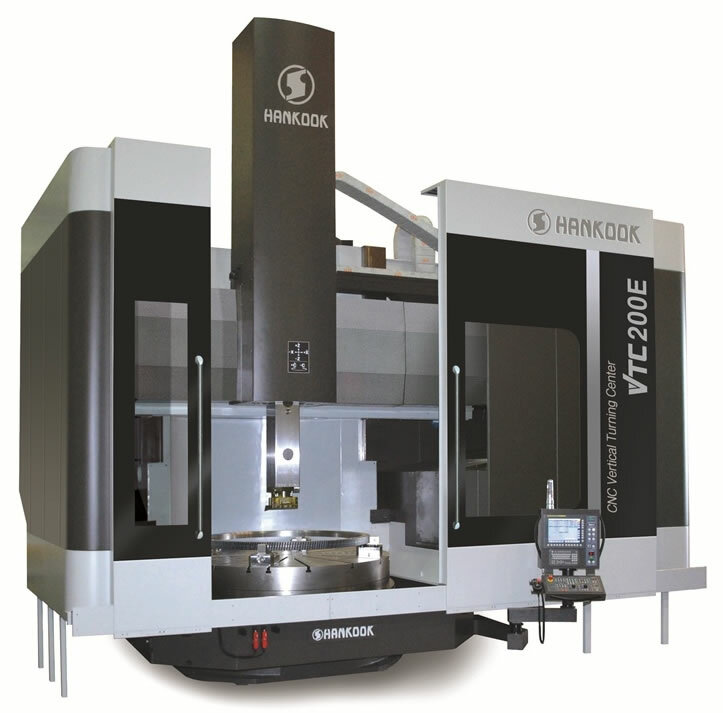 Equipment: Vertical Turning Centers - Cahmac International Machinery Inc.
Hankook America offers the complete range of machine tools manufactured by Hankook Machine Tools Co., Ltd. of Changwon-city, S. Korea. 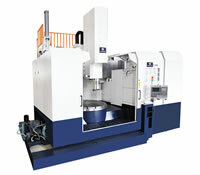 The CNC horizontal and vertical lathes are designed for the demanding cutting requirements of the oilfield, steel mill, power generation, and defense support industries. The rigid designs originated from a manufacturing collaboration with Dainichi Kinzoku Kogyo Co. Ltd. of Japan. Machining of VTL work-piece capacities up to 12 meter (40 feet) diameter and 300 metric tons and Horizontal Lathe capacities up to 30 meters (100 feet) between centers and 150 metric tons are possible with these rigid and quality-built machine tools. 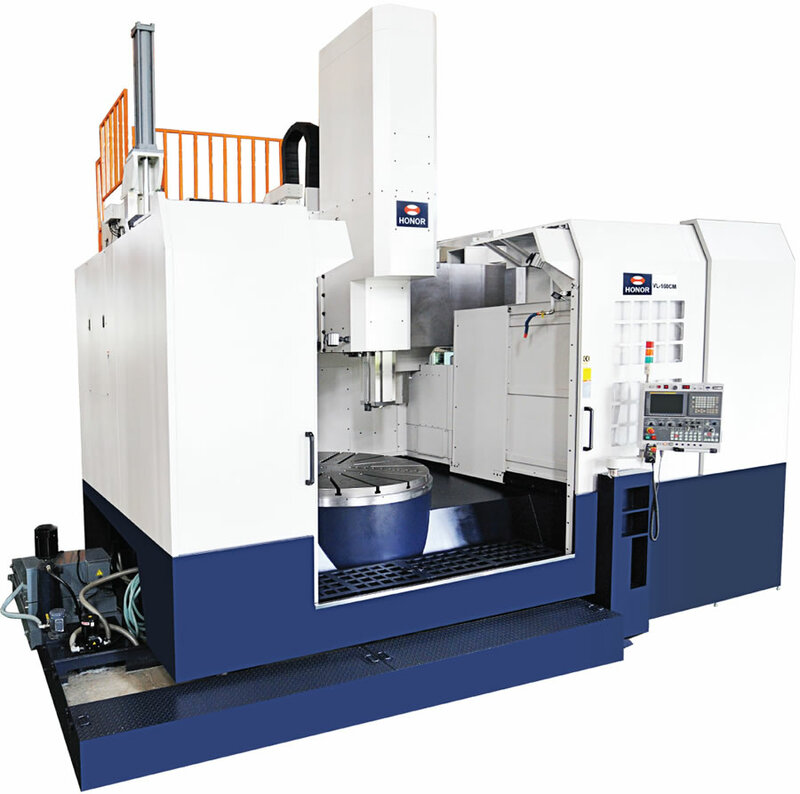 Established in 1987 Honor Seiki specializes in design and manufacturing of CNC vertical lathes, vertical turning centers, vertical grinding centers. Honor Seiki holds two notable patents: Solid Lock Double Faced Contact Clamping System and Roller Gear Transmission System. Honor Seiki possesses strong R&D and five manufacturing plants to customize, enhance production volume and quality spanning a wide spectrum of industries in energy, aerospace and automotive production.